Wire Work Hobby Kits - Introducing the hobby in a box! Introducing the ‘Hobby in a Box’. 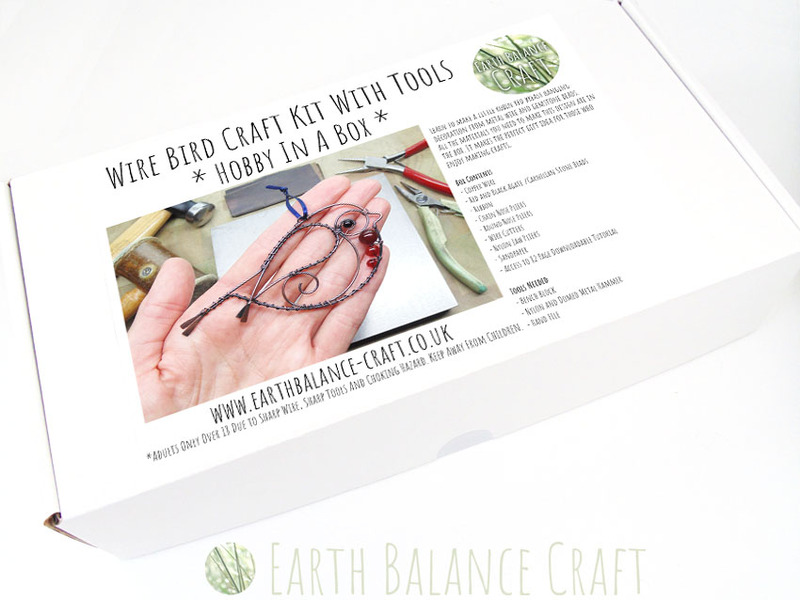 Released today is the Wire Bird Craft Kit for adults, the perfect gift idea. Featuring a little robin red breast, my favourite British garden bird. He is made from titanium wire, red and black gemstone beads and blue ribbon. 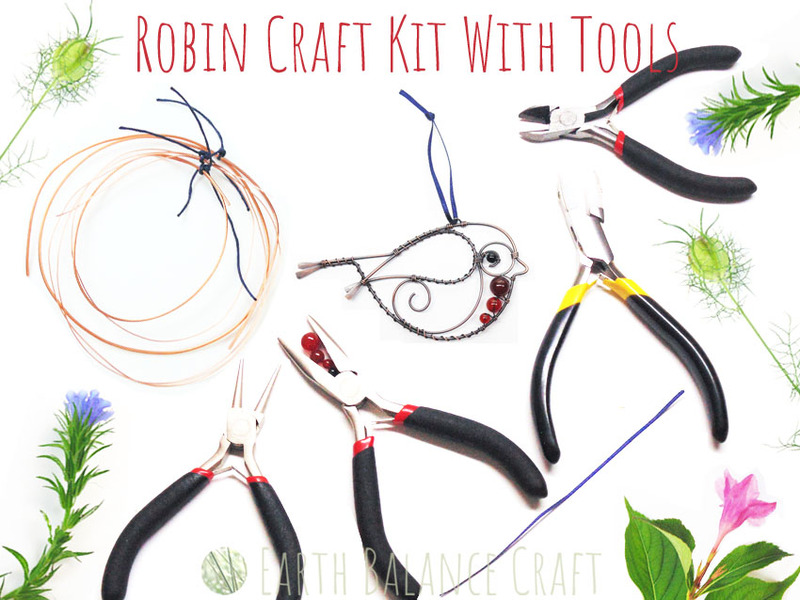 This beginner craft kit contains all the materials you need to make a little red robin bird hanging decoration. The box also contains a set of four wire working tools, to help you contour and form the titanium wire. Some additional tools are needed as it is not possible to provide these in the kit. Where possible alternatives have been noted in the accompanying tutorial, advising how to use bits and bobs from around the house as a wire hack! Spend a rainy afternoon learning to make this little robin decoration, using simple wire wrapping methods that are easy to learn and easy to achieve. Learn how to form the shape of the robin and wrap beads into his red breast and to create his eye. This is a delightful project that will get you started on your wire work journey. For absolute beginners with zero experience of handling wire. There are more designs to choose from, and there is the option of ‘with tools and ‘without tools’. Visit the craft kit page in the webstore. The box will be posted out in its’ own jiffy bag. The white box becomes part of the kit, where the materials and tools provided are wrapped and labelled, creating an exciting unboxing experience like opening a treasure chest! Inside the box there is also a welcome letter with a unique code to access the 65 page downloadable tutorial. The tutorial goes through every stage of the making process from start to finish to help guide you with ease. Once made, he loves to hang in a sunny window as it’s his favourite spot! Adults Only: Over 18 years old due to sharp wire, sharp tools and risk of choking hazard. Keep away from children. Tutorial only: It is possible to purchase just the tutorial for making the copper wire work version of this little red robin. Visit this link for details. 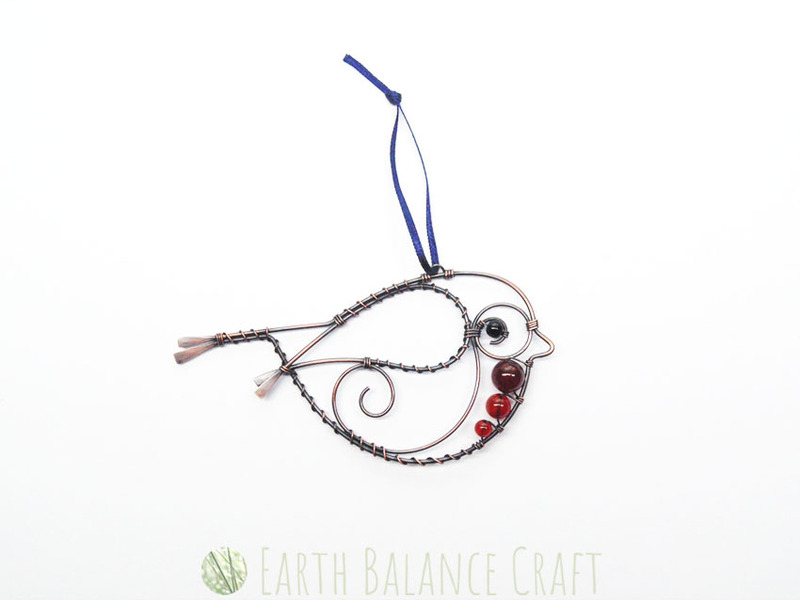 Visit the webstore to view the copper wire work version of this red robin hanging decoration.